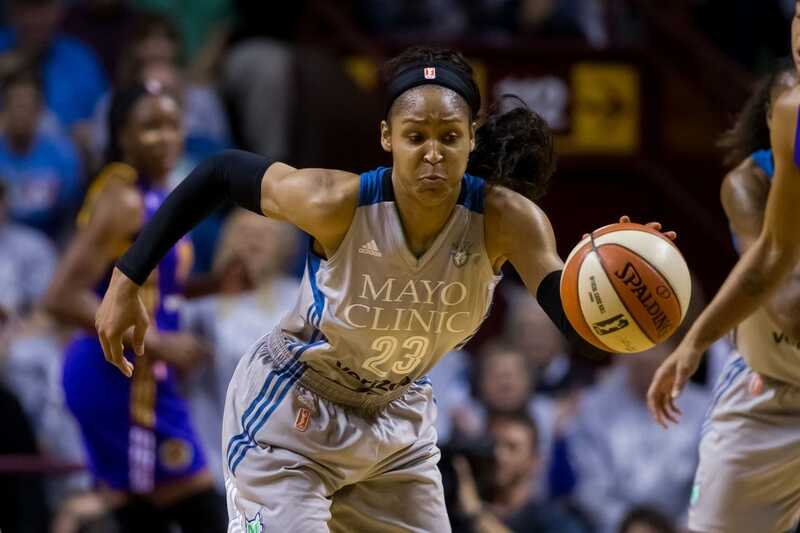 Minnesota Lynx star forward Maya Moore could be preparing to sit out the 2019 WNBA season, according to a televised report. On Thursday, general manager Cheryl Reeve issued a statement addressing the report on WCCO-TV that said Moore might sit out or ask to be traded. "We have been in close contact with Maya Moore and together are deciding the best way to approach next season," Reeve said. Moore, 29, is a free agent, but the Lynx earlier this week slapped the franchise tag on her, which prevents her from hearing offers from other teams.